These are so yummy! Do yourself a favor and make a double batch. Jax loves them and so do the adults. They are great on their own and perfect with a bowl of soup. They are full of flavor and you could make them into any shape for any occasion. MiMi put some plastic wrap over her dough before she rolled them. 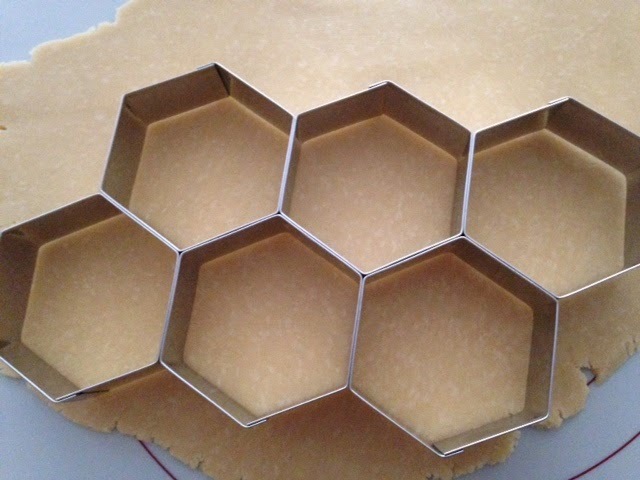 This helped keep a nice smooth surface and kept the dough from sticking to the rolling pin. Form into a disk and wrap in plastic. 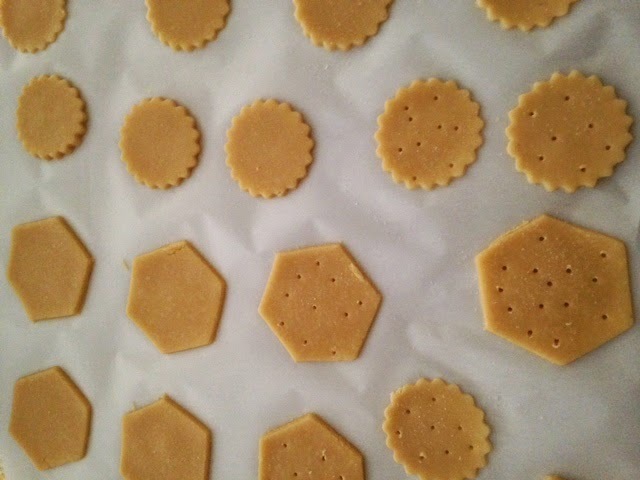 Roll dough to 1/8" thick and cut into shapes of your choice. 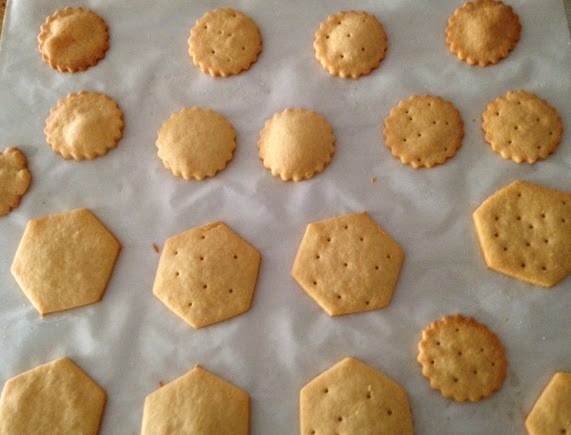 Place crackers on parchment paper covered or greased cookie sheet. Lightly sprinkle with salt then bake for 10-15 minutes or until slightly browned.